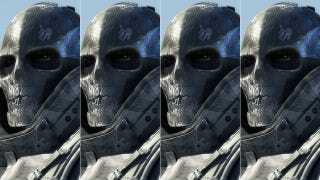 Late last year, we told you EA had begun work on a new Army of Two game, only this time it was called Army of Four. The name change was because it would support four-player co-op, and we also heard it would be running on DICE's fancy new Frostbite 2.0 engine. Well, over the weekend, voice actor Joe Flanigan Tweeted that he'd "signed on to do the new AO4 game for Electronic Arts". Army of Two, a shooter built around co-op, was first released in 2008. It was followed in 2010 by Army of Two: The 40th Day.